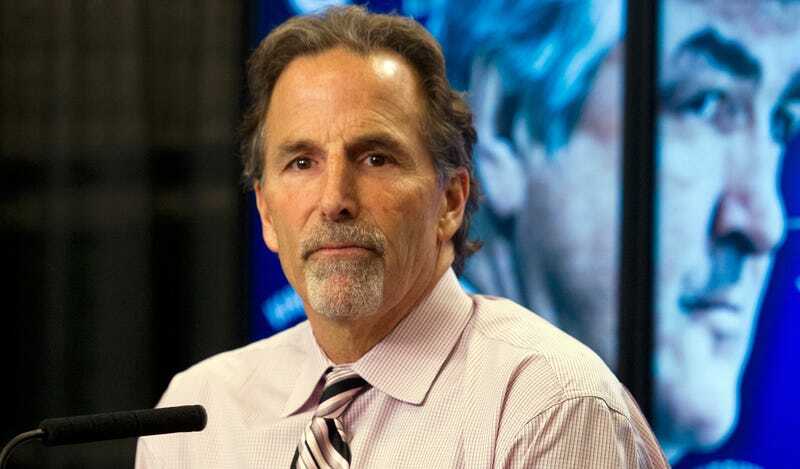 USA Hockey named John Tortorella the head coach of the 2016 U.S. World Cup team on Monday, and set up a conference call with Torts and the media today. These teleconferences between coaches and reporters are commonplace, and the call-in number is usually well guarded. That was not the case with this particular call. A few pranksters managed to call in and slip by the screening process, and the first three questions posed to Torts were about his mother being bald, his favorite dolphin movie, and the size of players’ jock straps.